Intention: To use the sacred bath as a New Moon renewal ritual. Each New Moon we begin again, and this ritual is perfect for a fresh start and announcing your intentions to the universe. Cast a circle as you normally would. Before setting up the space, drop in with some deep long breaths and get clear on the intention you will set for teh upcoming lunar cycle. 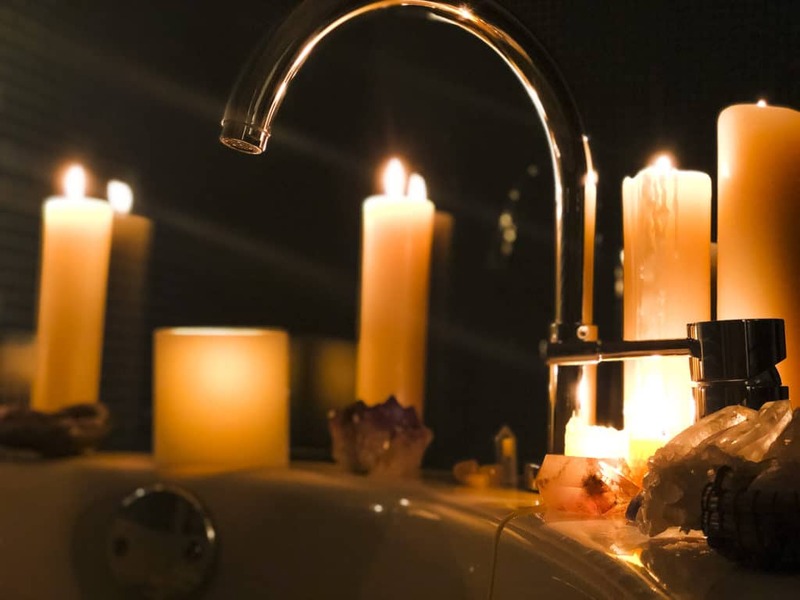 Begin preparing the space, adorning the bath tub and then with the sharp object carve one word that symbolizes the whole of your intention into the candle. Light other candles to give the space a warm glow and turn off the over head lights in your bathroom. the New moon Renewal Scrub is meant as a recharge, a beginning and an invigoration. it is also a fantastic way to riase energy. So taking a teaspoon at a time, begin scrubing it all over your body. It helps to add a mositurizing oil to the scrub, like almond oil. Take you time doing this as it both increases circulation, heat and the release of dead skin cells. All of these things reate an increase in energetic flow. When you have finished your scrub, turn to your candle and recite your intention for the new cycle outlaid. Enter the bath and soak in the scents, and the invigoration of your ritual for as long as feels right. When done, close out the circle, but allow the candle to burn all the way through, if it’s safe to do so. If it’s not, then light it each night until its burned all the way down. Make sure this happens before the following Full Moon. This scrub was part of the Ritual Bath Box that went out to subscribers in January 2019. Have you signed up for a subscription yet? 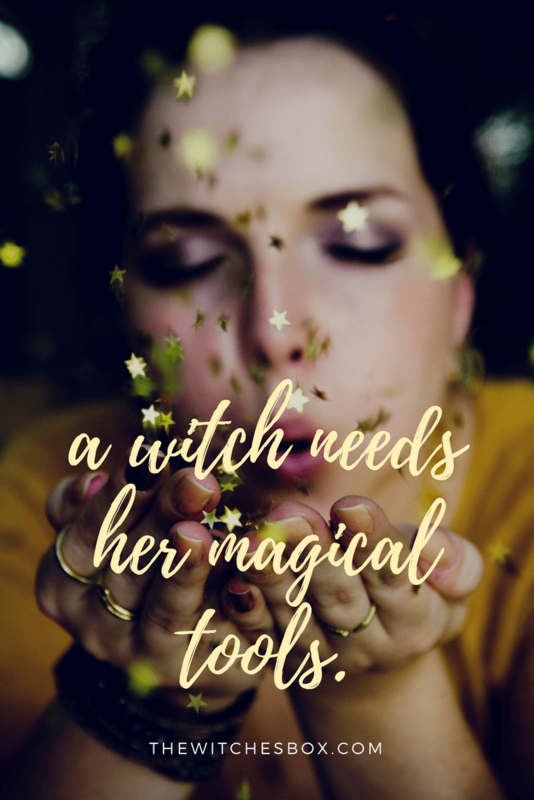 If you haven’t subscribed to The Witches Box yet, please do so! Go HERE to subscribe. At the time of this posting there a few more of these boxes left to buy if you were not subscribed but would like some of this magick in your life. Go HERE to get your box today.